ISLAMABAD: A number of Pakistan Muslim League-Nawaz (PML-N) leaders, including sitting as well as former lawmakers, have announced to join Pakistan Tehreek-e-Insaf (PTI), causing a setback to the ruling party. 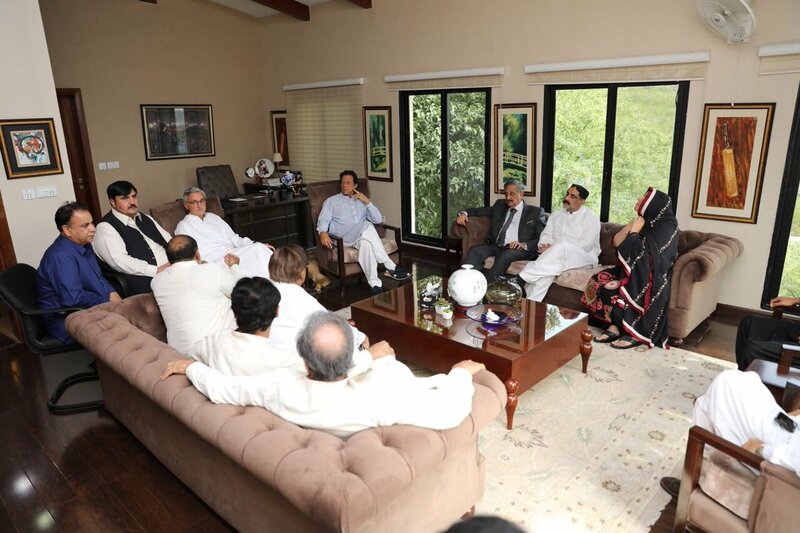 According to details, after meeting PTI Chairman Imran Khan at his Bani Gala residence in Islamabad, the disgruntled PML-N politicians announced joining PTI. They expressed confidence in the manifesto and leadership of Imran Khan. MNA from Jhang Ghulam Bibi Bharvana and Sahibzada Nazir Sultan met Imran Khan on Thursday and joined his party. Sahibzada Nazir Sultan had won the election from Jhang as an independent candidate before joining the PML-N. In addition, PMLN MNA Ghulam Rasool Sahi and former speaker Afzal Sahi called on Imran Khan at Bani Gali and announced PTI. “I am joining the PTI as a patriotic Pakistani. I cannot remain associated with the PML-N anymore,” he said. Ghulam Rasool Sahi was elected as MNA from NA-75 in Faisalabad after 2013 elections. 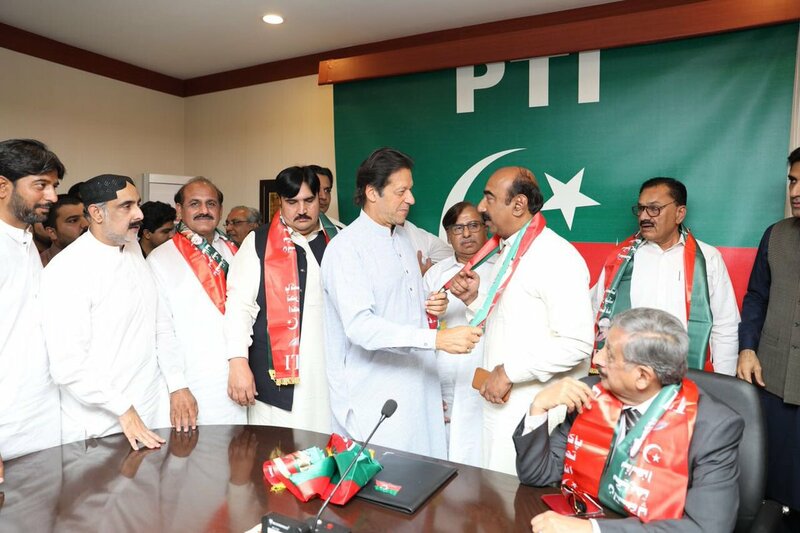 Other leaders including PML-N MPA Azam Cheela, Ghulam Ahmed Gadi, Sheikh Yaqoob, Rashida Yaqoob, Aslam Bharvana, Asif Kathia and Chaudhry Shehbaz also joined the PTI. The recent statement of ex-prime minister Nawaz Sharif has sparked anger among the politicians as several PML-N leaders have expressed concerns during parliamentary meeting that was headed by newly-elected party president and Chief Minister of Punjab (CM) Shehbaz Sharif. 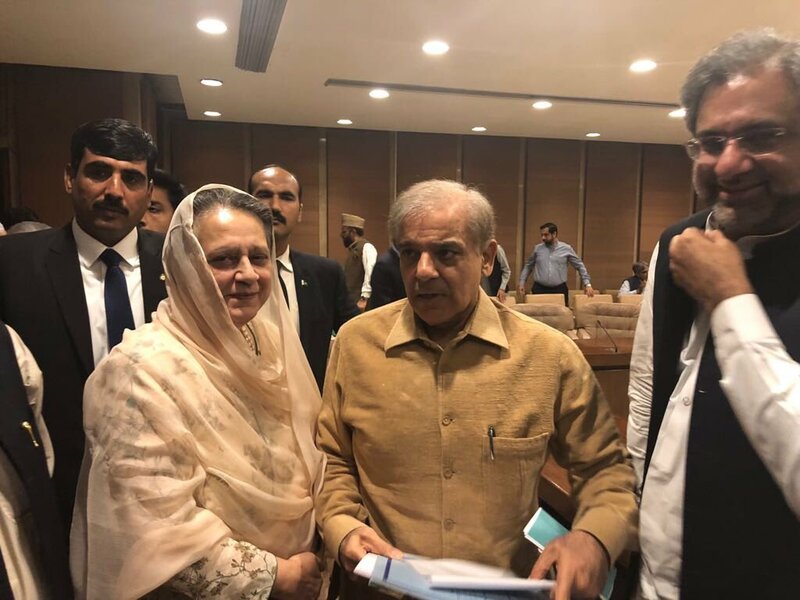 On the other hand, Mussarat Ahmadzeb, a PTI MNA from Swat who is widely known for resisting the teachings of Malala Yousafzai, has joined the PML-N and attended the party’s parliamentary meeting.